Insulating Windows supply and fit beautiful uPVC sliding sash windows. Ideal for traditional properties or adding a touch of elegance to more modern homes uPVC sash windows are a genuinely eye catching addition. Our uPVC sash windows are classically designed to provide a traditional aesthetic. This means you can keep the integrity of your property whilst still receiving the modern benefits that double glazing provides. Channelling the timeless style of Georgian design our windows incorporate two sliding sashes, exquisite decorative horns and sculpted ovolo frames. 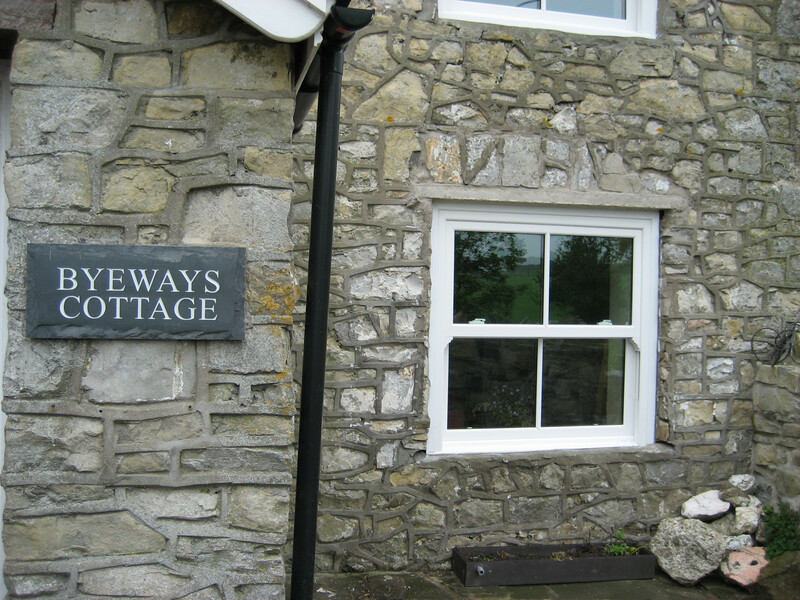 Our stylish uPVC Georgian bars and subtle fixings put the finishing touch on what is a genuinely beautiful window. Further modifications and customisations are available, and we will always do our utmost to meet your request and go the extra mile for all our customers. We offer free, no obligation quotes and complementary advice to help you get the most from any potential double glazing investment. The build quality of our uPVC sliding sash windows and materials used to combine to create a modern double glazing solution which will save you money on heating. Our vertical sliding double glazing works alongside your property and delivers outstanding levels of energy efficiency. So, how is this achieved? The intelligent design of the windows frame helps channel and control air flow rather than just try to block it out. The reinforced frame consists of microchambers that trap pockets of air, preventing cold air from making its way into your property. The reinforced thermally focused glass works to combat the increase of heating your home too. Insulating Windows ensure that all of our sealed double glazing units are fitted with specifically developed energy saving sealant around the perimeter of the window. On top of this, your new window will be internally beaded to add further protection from the unwanted cold weather. Our double glazing will decrease the cost of heating your home by providing exceptional levels of thermal efficiency at an affordable price. You will be glad to hear that the security of our sliding sash windows has been upgraded significantly since they first became popular several hundred years ago. As the same with all our products, this double glazing option targets security alongside energy efficiency. Making them a very sensible option for all Hemel Hempstead homeowners. All of our sash windows come complete with state of the art locking systems. Smart, security focused designs that have been tested thoroughly to design out any potential weak points, and therefore help to increase the overall security of your Hertfordshire home. Vertical sliding windows are able to be locked at the level of opening you desire. So, on a warm summers day, you will benefit from a well ventilated property and not have to worry about your window being prised open by opportunistic thieves. Complete protection and peace of mind for yourself and loved ones. It is common knowledge that the charming presentation of uPVC sliding sash windows is based on traditional wooden sliding windows. This is the ideal window of choice for homeowners looking to truly bring out the charisma and charm in their Hemel Hempstead home. As with the case for most of our products, our sliding sash windows are available in a striking range of beautiful colours. Ensuring that these windows complement the existing aesthetics of your home. Insulating Windows provide our professional supply and fit service for quality double glazing sliding sash windows throughout Hemel Hempstead, St. Albans, Amersham, Luton, Leighton Buzzard, High Wycombe, Milton Keynes and the surrounding Hertfordshire towns.